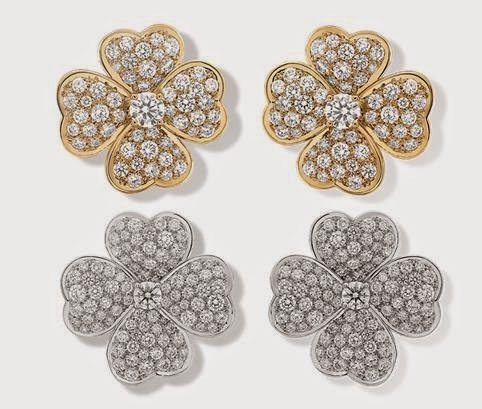 The Van Cleef & Arpels Cosmos collection is built around one of the famed jeweler’s classic designs, a combination of a four leaf clover and a flower that dates back to the 1950s. These four petal flowers are handmade in a variety of jewelry types and in different sizes and materials. 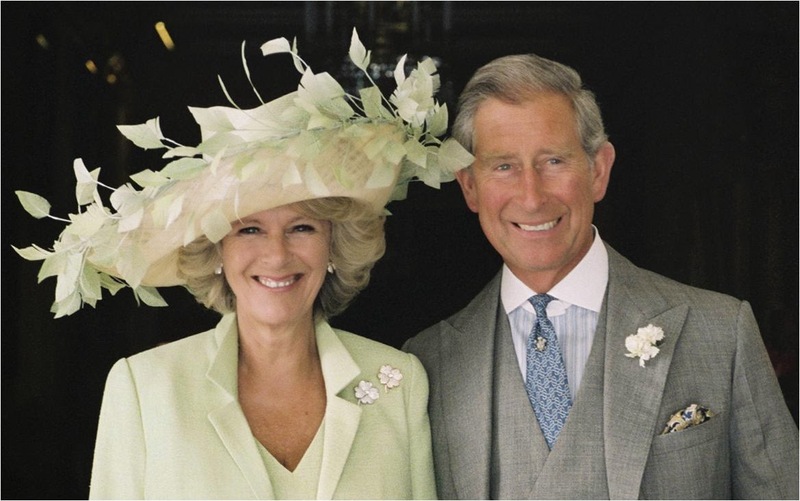 The Duchess of Cornwall has two of the Cosmos clip brooches in her collection. 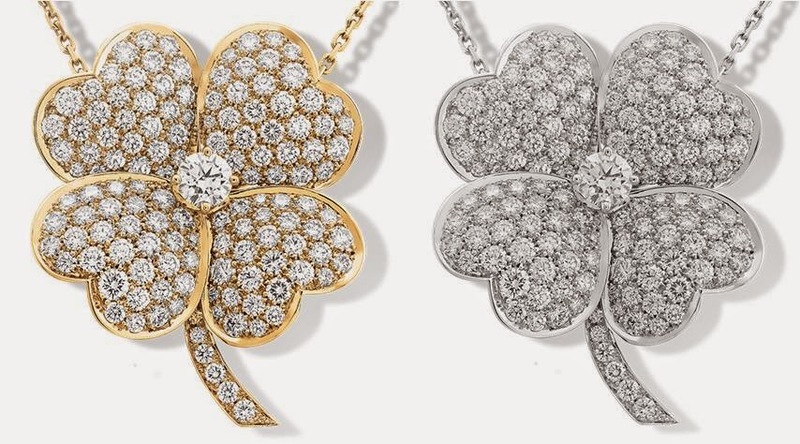 Both of her clips are the same design, with heart-shaped petals, a stem paved in round diamonds, and the largest round diamond sitting in the center of the petals, but one is set in yellow gold and one is set in white gold. The Cosmos clips come in three sizes (small, medium, large) and I believe Camilla’s clips are the large size, which would have 101 diamonds apiece. The clips shown as examples here are from the range that is currently for sale, and they can also be used as pendants on a chain, but The Duchess uses hers solely as brooches. These have been a part of her personal collection (presumably) since at least 2005, when they appeared at Ascot. She usually wears them together on one shoulder, occasionally splitting them up on her lapels or wearing just one at a time. Top: Medium earclips, yellow gold setting. Bottom: Large earclips, white gold setting, approx. 6.8 carats total. At a 2005 garden party (shown above), she also wore matching Cosmos earrings. Like the brooches, the earrings are available in a variety of materials and three different sizes; I believe she wore either the medium or large size, and again the diamond version. The earrings are scarcely seen (in fact, I’m not sure they’ve been spotted in her ears since that 2005 outing), but I think she may have worn one of them as a brooch when attending the 2011 wedding of The Duke and Duchess of Cambridge (above). For that appearance, the lower brooch was smaller and without a stem, perhaps a smaller size brooch or maybe an earring repurposed. Most of the time, though, she wears the matched brooch set, and they make regular appearances. You can see a video on the history of the Cosmos collection here.